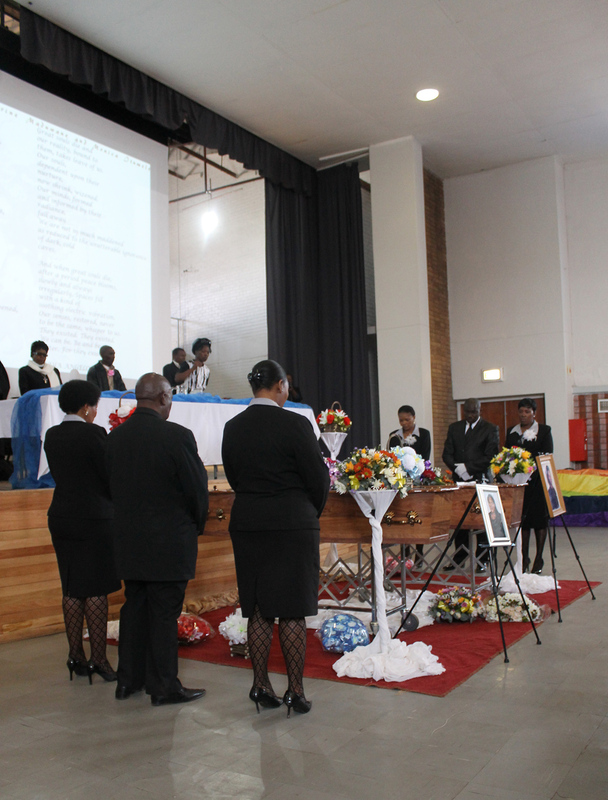 The joint funeral of lesbian activist Manku Maduwane (52) and her niece Monica Maduwane (36) was held at the Kwa-Thema Civic Hall on September 7. 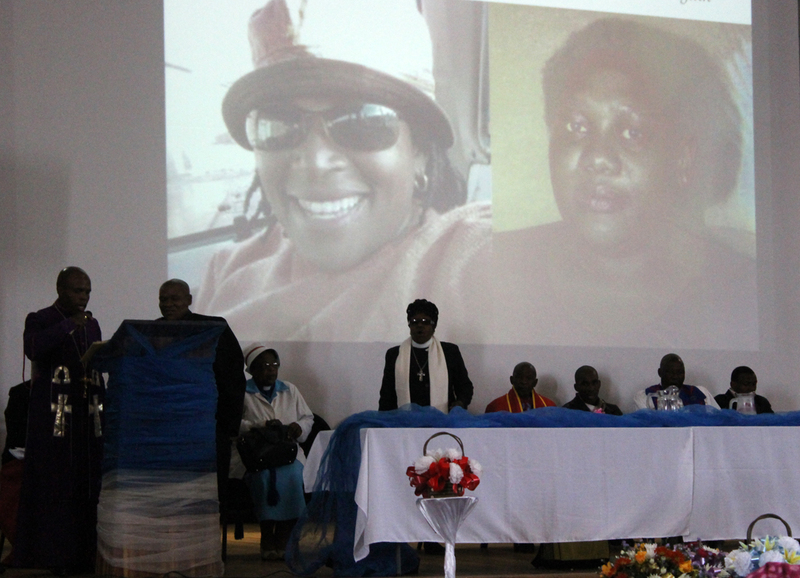 The two women passed away on September 3, Manku after battling cervical cancer and Monica fell ill and died suddenly after hearing of her aunt’s passing. 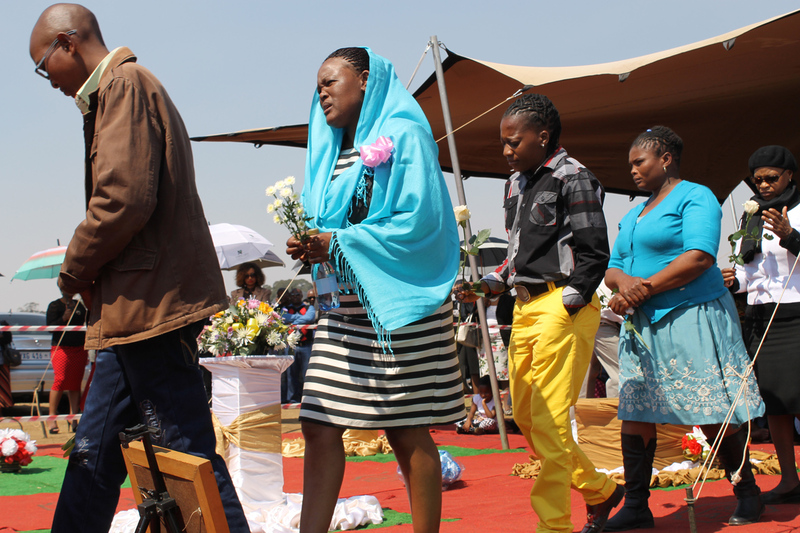 Manku’s passing raises the issue of lesbian women and pap smears, which seem to be unpopular. 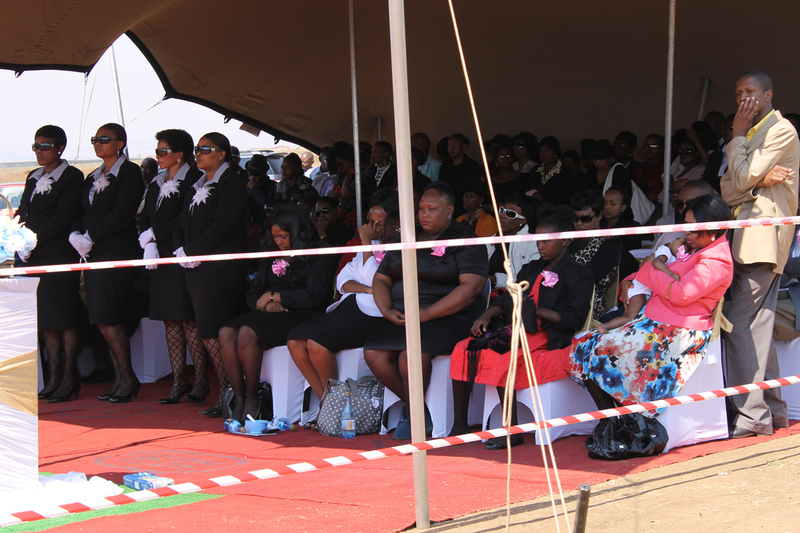 Thuli Tshili who was in a relationship with Manku described her as kind and a people’s person but strict. 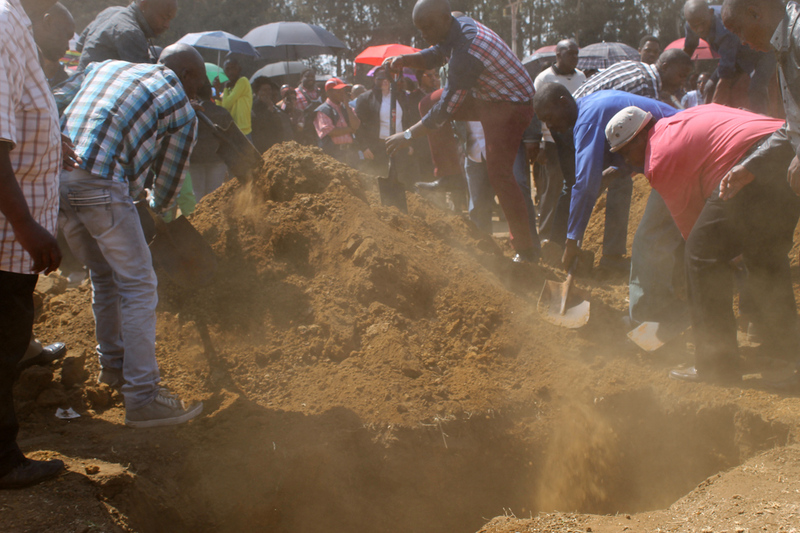 Despite strict and protective nature, Thuli says Manku had a soft spot for her. 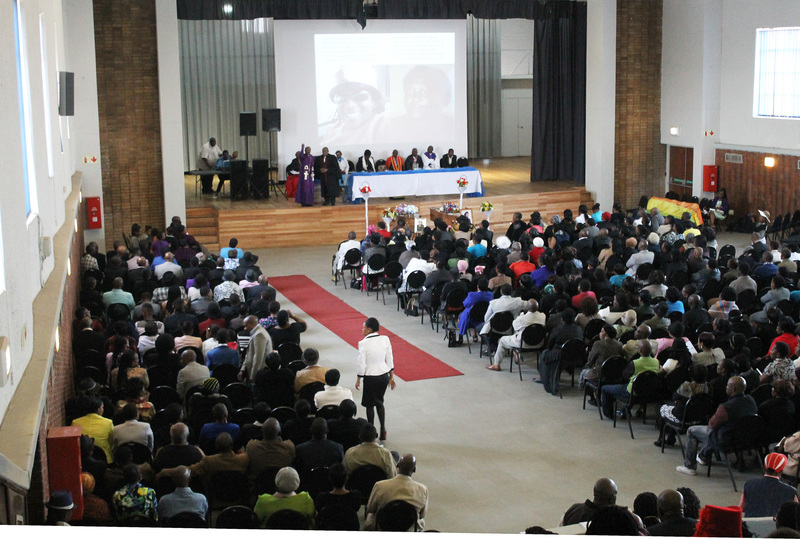 Thuli said that Manku saw LGBTI youth as not carrying the baton in the LGBTI struggle. 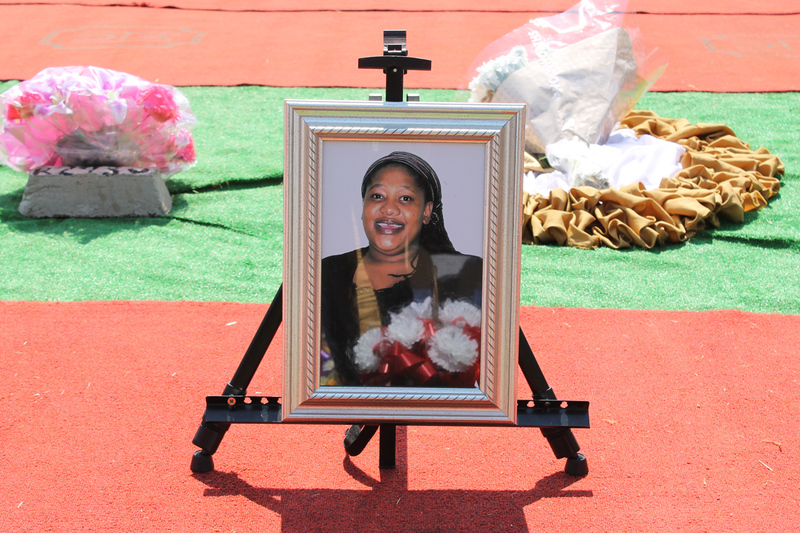 She adds that her family and friends as well as Manku’s friends have all been a source of strength and support. 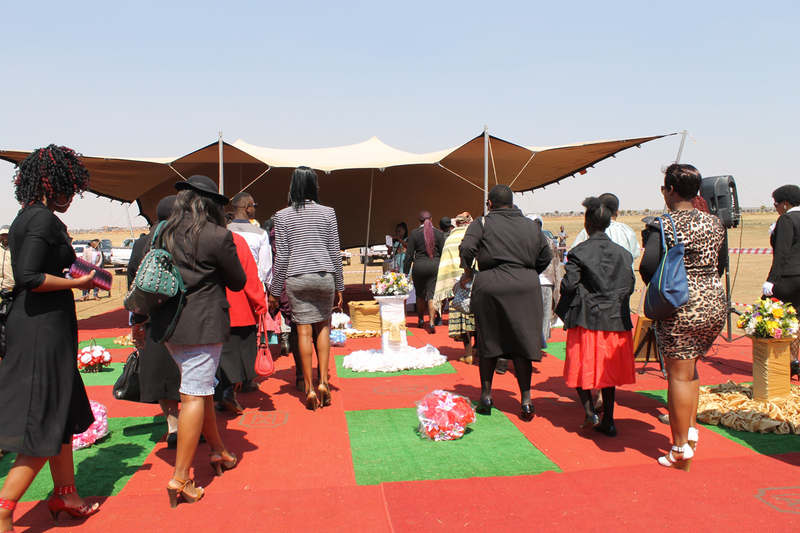 After the service at the hall, mourners then moved to Vlakfontein cemetery for the women to be layed in their final resting place, next to each other. 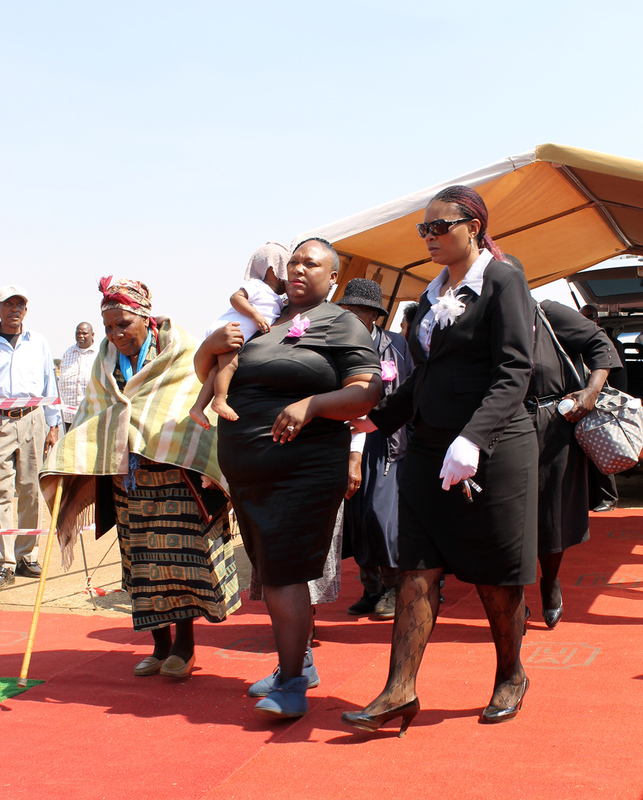 In her facebook post Phumi Mtetwa said coming out in the 80s, “it was warm and beautiful to be supported by people like Manku and MaThoko. 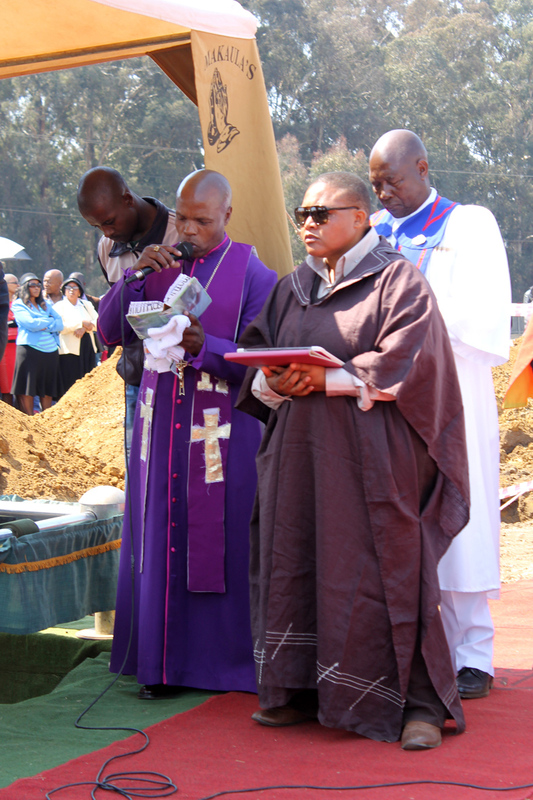 While speaking after the funeral, Xolile Dzanibe said in their 33 year long friendship Manku was frank and assisted many in their coming out. 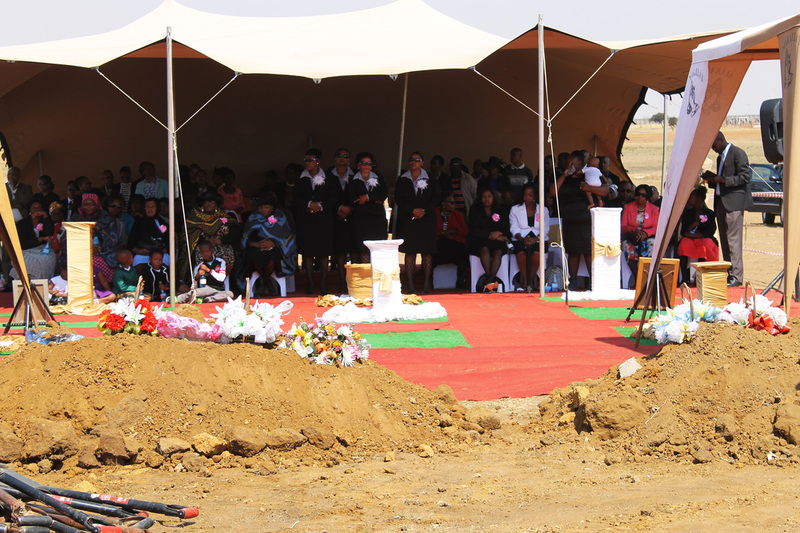 One niece wrote in her funeral message that she never felt the gap of never having a father in her life as Manku provided for her adequately. 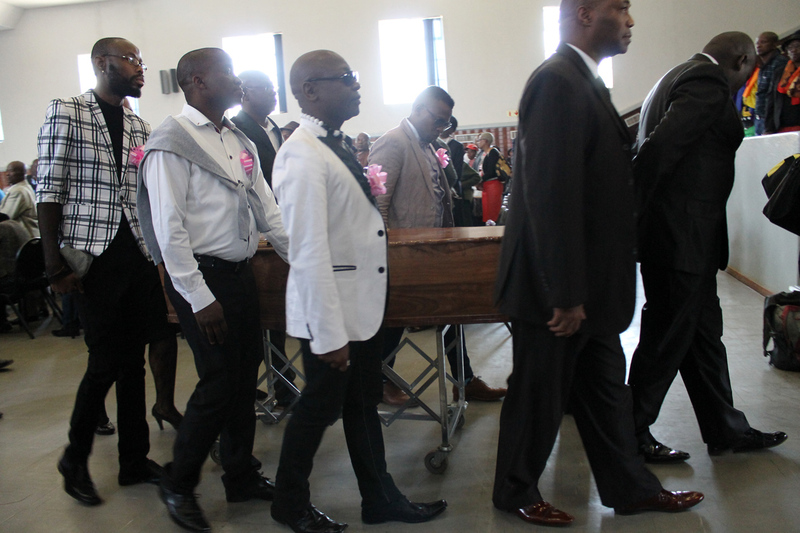 Manku’s friend Paddy Nhlapo was one of the pallbearers. 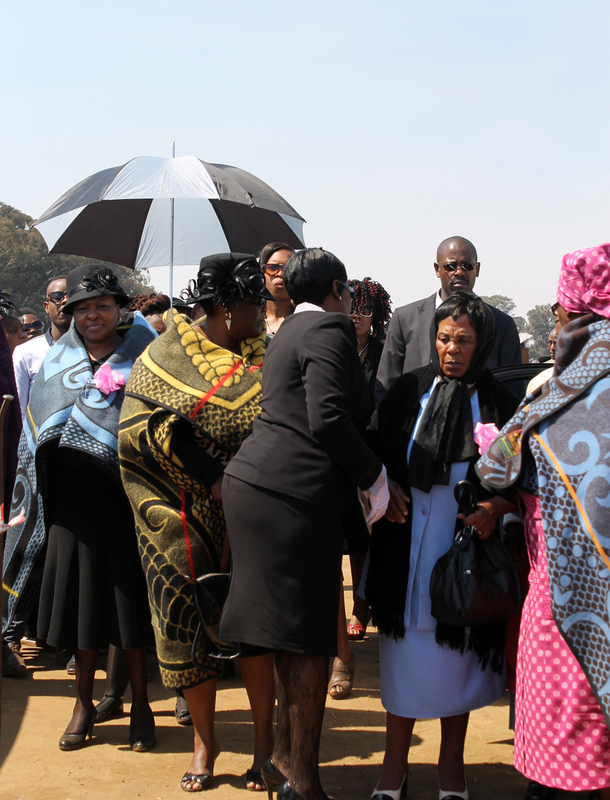 Nombango Mampondo lay the wreath of flowers on her friend’s grave. Kamo Petlele (16) is a Grade 10 learner at Aurora Girls High School in Soweto. She is currently involve in 2014 PhotoXP visual project where young female photographers are learning and documenting their communities. 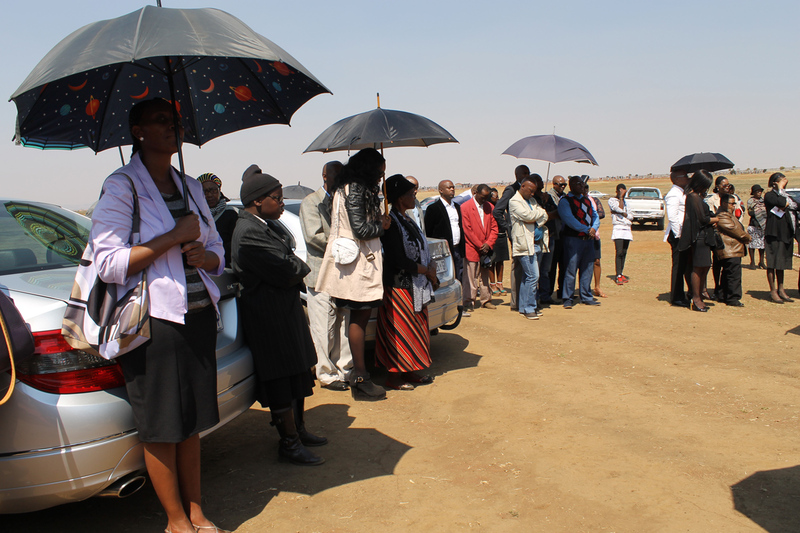 This funeral form part of the field trips where each participant is required to work with a journalist tackling real newsworthy stories. 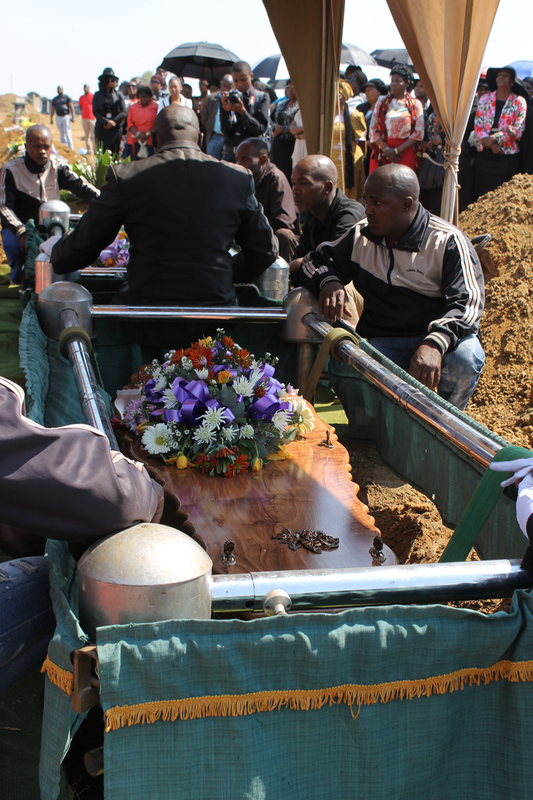 This entry was posted in Uncategorized and tagged Act, Action, activism, Activists, Another approach is possible, Articles, Audience, beauty, Bereavement, Black Lesbian, Blackness, Bodies, Cervical cancer, Coffin, Collaborations, community, Community members, Connections, Culture, Death, Democracy, Documentary, documentation, Education, Experience, Expression, Family, Feelings, Freedom, Friendships, Homophobia, Homosexuality, Human beings, human rights, Johannesburg, KwaThema, Life, Living..., Loss, Manku & Monica Maduwane's funeral, Manku Maduwane, Pallbearers, Relatives, Remembrance, Sadness, Short illness, Tears, the lesbian activist, Tshidi Porota, Vlakfontein cemetery. Bookmark the permalink.